I did it! 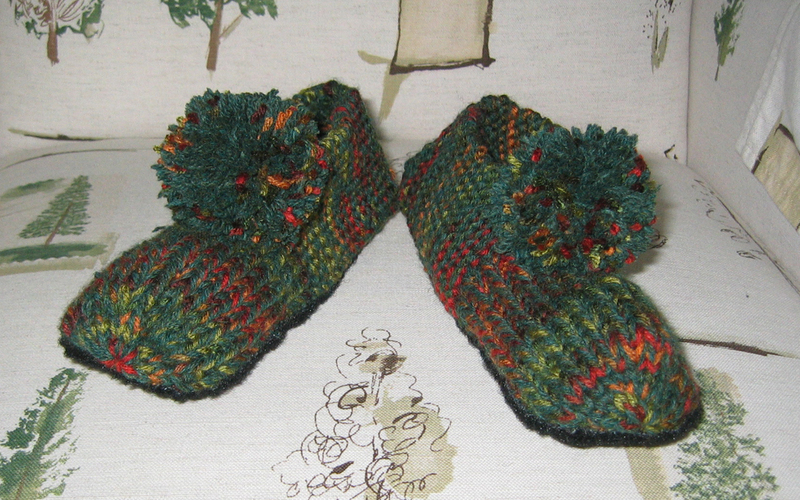 I finished the slippers in record time. And sewed on the soles. And made pom poms. 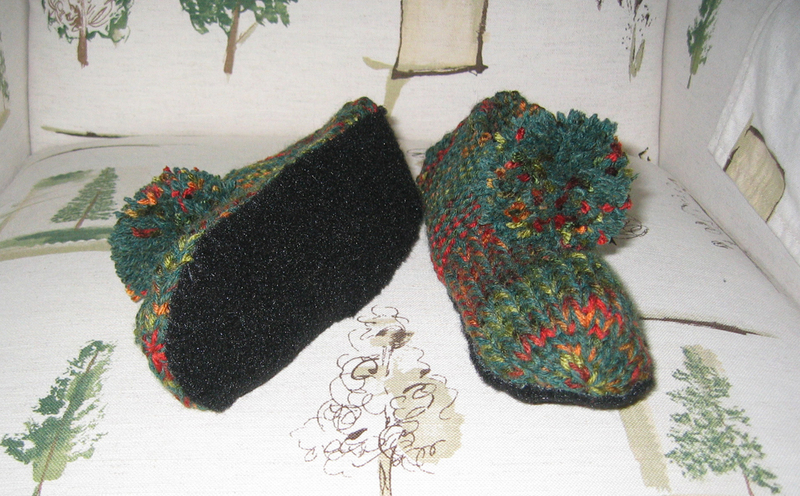 I used dark green heather Lionbrand Wooleze and some variegated acrylic yarn from a sweater that didn’t fit right. I love the muted colors. I hope my friend does, too. You can also see the “tree” fabric on my chairs. The flash washed out the intensity a bit on the seat. 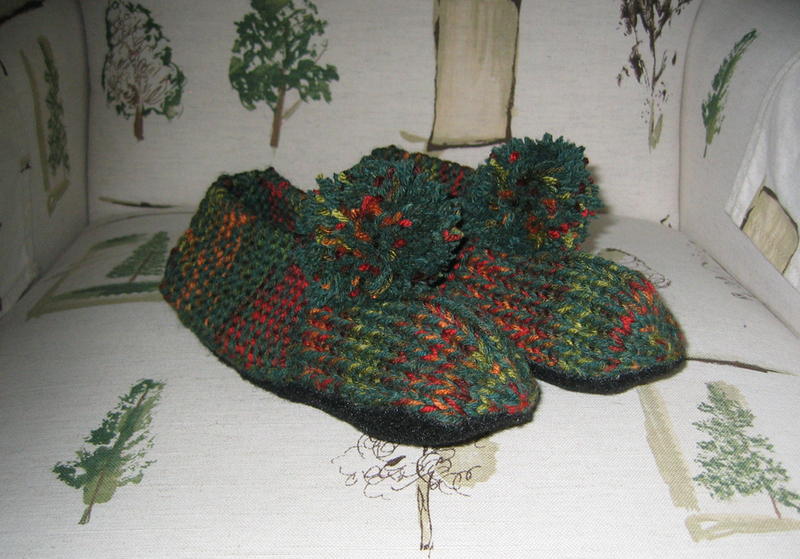 This entry was posted in decorating, finished object, knitting and tagged finished object, knitting, seamless slippers by Patti_is_knittinginflashes. Bookmark the permalink. tree fabric on your chairs. I had forgotten what the chairs looked like. I love your colors. The ones I make are so ordinary. Yours are a far cry from the purple ones you got for Christmas one year.